The aggressive and demanding nature of the mid-range market paved the way to the birth of intelligent and reasonably-priced Smartphones such as ASUS Zenfone 5. Our final say for this Phone is, highly recommended to those who loves balanced between price point and features. It meets the thin line for mobile gaming and mobile photography at its price range. One thing I'll note is, generally mobile photography has limitations so don't expect that it will get par with other camera that are built for photography. For example, the mirror less or hybrid cameras, or better versions DSLRs. But at its kind and range, ASUS Zenfone 5 easily stands out from the pack with its curated features and capabilities. Now that we conclude our test with Zenfone 5, we will give some samples and works taken using this great mid-range Smartphone ASUS Zenfone 5 built-in features. We will ran down some of the camera features tested in our limited time and real-world samples with SOOC quality and minimal-to-no-editing output. The bokeh effect is a technique in photography to emphasize your subject with controlled amount of depth of field in the background or foreground achievable with special glasses or lens. With The ZenFone 5 you can achieve this pro-looking photo enhanced with a blurred background effect in real time. It uses both rear lenses simultaneously to add even more precise depth perception to make subjects stand out even more. Real-time Portrait is utilizes the advanced AI algorithm to calculate the outline of subjects accurately to make portraits appear more natural. The AI technology can also detect depth information, and lets users choose between six layers of background blurring intensity and gradient blur effect. What we like with ASUS Zenfone 5 "Bokeh" feature is the dynamic option for the depth of field settings, the user can actually dictate the depth value according to the output the user wants. In the sample Portrait shot above, taken in Parisian Macao and in the background is the Eiffel Tower replica, you are capturing a different perspective of your travel or outdoor photos, here the bokeh effect send a soft impression at the background but still you can recognize that it's the tower at the background of your subject. The foreground which is the subject is a underexposed but can be process a little bit to correct the exposure. We are able to test the the Time Lapse Camera feature of ASUS Zenfone 5 and it is one of the features that we like most. Aside from the light file size that it has compared to taking full video, you are also creating content on a different perspective for your friends to appreciate. In this mode, the phone automatically shoots frames at preset intervals which are then compiled into a stop-motion-like video. 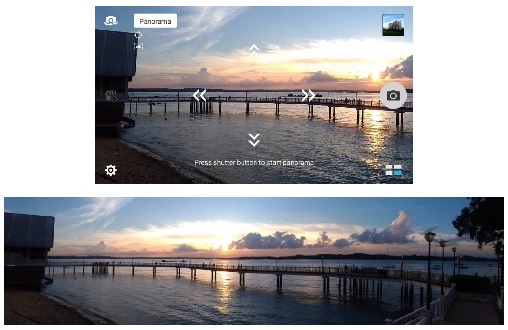 Here's a time lapse video sample taken with ASUS Zenfone 5 in Macau. The location is in Taipa Food Street and the weather is gloomy-to-scattered rain showers. I setup the camera attached to a tripod in front of a souvenir shop in Taipa and started capturing using Time Lapse in-camera feature of Zenfone 5 to the passing crowd and the pouring rain. We were not disappointed with the output and appreciated the convenience this feature has to offer. See the Time Lapse sample below, exported through InShot Android video editor. This video sample is also posted at our YouTube channel. In this sample, it captures the motion of the people crossing the street, the vehicles passing, the wind that moves everything and the gloomy weather on that day. 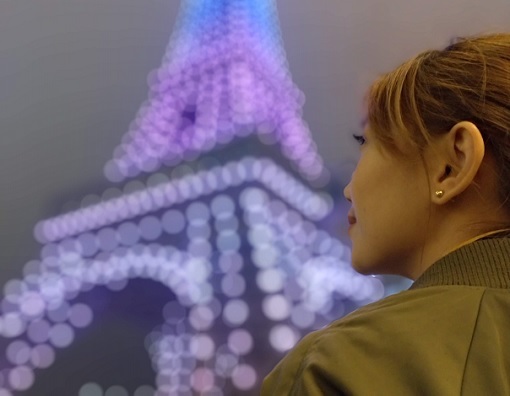 Although the whole Eiffel Tower in Parisian Macao was not capture in whole but still its beauty shown in the stop-motion video. If we've got more time to test the remaining Camera features of Zenfone 5, we could have pick the following shooting modes and present some results or samples here. Anyway, I'll just run them down here for discussion. ASUS Zenfone 5 Camera allows users to create a .gif format animation instantly and in less complicated process. Gif format is the early version of motion graphics commonly used on the web. Gif images are simple animations composed of a repeating loop of sequential images. They are super easy and fun to create using the Gif Animation Mode available with Zenfone 5. Simply shoot your subject in this mode and the camera will compile the photo sequence as an animated gif image. It also allows you to modify the speed or even play direction of the animation before saving. This camera feature is somewhat available with most of the smartphones. This is the perfect mode for extremely wide landscapes, Panorama allows users to pan the camera from one side of landscape to another while the camera automatically captures the separate frames and stitches them together to for a wide panoramic photo. This is one of the camera features that I really wanna try but I just didn't have the perfect scene to use this one. The perfect scenes that could have been captured with this feature is during Food event, Portrait, active/sports scenes or depends on your desired output. ASUS Zenfone 5 let you shoots videos in extremely high frame rate at 120FPS or 60FPS at full HD resolution (1920 X 1080) / 1080P for clear slow motion playback. 0 comments: on "Intelligent Phone ASUS Zenfone 5: Final Say"